Picture this: It’s New Years Eve. You sit with friends in a weird, misshaped circle of camping chairs. Beer bottles are littered all over the floor making the walk to the fridge a daring feat. You reminisce about the time one of your friends did that insane backflip into a bush resulting in three stitches, or when your three-year relationship unexpectedly came to a wild halt. You recall all these memories that happened in the space of one year, lean back and laugh…okay. Got that picture in your head? Good. You’ve just been Slowly Slowly’d. Melbourne Rock four-piece Slowly Slowly return from their stellar debut album Chamomile with their second record St Leonards – an examination of life in your twenties and all the struggles and victories that come with it. St Leonards is thirteen tracks of unforgettable musical moments and lyricism that serves as a portrait of living a life in your glory years. Intro track ‘Dinosaurs’ not only grabs your attention but shakes you and demands it. Slow and delicate guitars ring out in a twinkly and fragile tone which accompany frontman Ben Stewart’s unique voice (which has somehow become even better following his stellar performance on Chamomile). 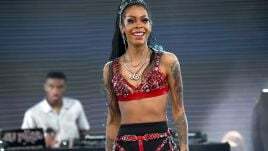 The song consists of an expertly crafted buildup that would make Coldplay jealous and reaches a climax in its transition to the fiery and distorted next track ‘Extinct’ in what is one of the album’s (and this year’s) most memorable moments. Slowly Slowly are able to contrast ritualistic moments of tranquility and then turn those on their head with raw, overdrive-filled guitar riffs. 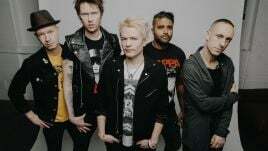 Co-produced, recorded and mixed by bassist Alex Quayle and frontman Stewart, the album’s production allows each member to shine and ultimately creates a sound that bands will be wanting to reproduce for some time to come. Acoustic songs such as The Butcher’s Window’ and ‘Song For Shae’ strip things back to the album’s previous rock-fuzzed origins but still manage to pack the same emotional punches as head-banging tracks like ‘Smile Lines’ and ‘Sunburnt Shoulders’, which, by the way, has one of the catchiest guitar riffs you’ll hear in a long time. 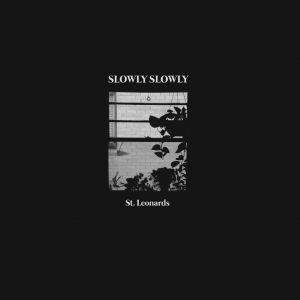 What makes St Leonards unique is how each track is able to explore different musical themes all while maintaining Slowly Slowly’s identity. Nothing feels repetitive and each track serves as a fresh canvas with a brand new idea. Lyrically, St Leonards channels nostalgia all whilst reflecting on what it means to grow up and find happiness on your own terms. 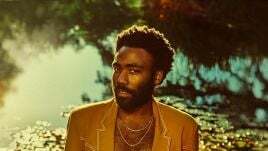 Whether it be its examination of trying to connect with dysfunctional families in ‘The Cold War’ or trying to find meaning in a mundane society in ‘Aliens’, the album dissects every aspect of evolving as a person and becoming an adult. Slowly Slowly have taken the foundations of Chamomile and evolved them. It’s because is isn’t afraid to take risks, blend delicate silence with crushing distortion or channel nostalgia that makes St Leonards an excellent record. 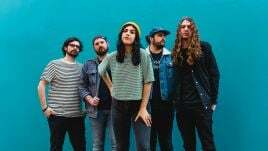 Slowly Slowly stand out from anything else happening in Australian music right now and St Leonards is an exciting snapshot of what’s to come for this rapidly rising band. Slowly Slowly’s new album ‘St. Leonards’ is out now.